What is wrong with the Tory Central Office inspired act-of -desperation, the ‘magic money tree’ meme? The first is the patronising tone: as if they were talking to idiots, as if there was nothing they could possibly understand about our economy. It is never difficult to detect the difference between Socratic dialogue and a British election campaign, but this is at a different, more demeaning level. It has been clearly and widely pointed out that the banks got an automated, shake me and I’ll pour the ducats down money tree – a sort of personalised ATM just for them. And no one really objects to the banking system having been saved (by Labour actually), but the money delivered through Quantitative Easing hardly made it further than the finance sector. It wasn’t used for investment elsewhere, nor for public services, nor for the environment. Bankers and financiers got rich, and the retail banking system has been starved of funds for local businesses, for individuals, for industry ever since. And the Government has accepted all of it. At some level, everyone knows this – they can see the contemptuous disregard the big banks have for the ordinary customer (us), and we are capable of putting two and two together. But the reason for this catastrophic failure of what should be a productive banking and finance system is less visible and is certainly not being discussed at all in this election. My colleague David Boyle has written of the curse of giantism. We have written together of the contempt for customers of these huge corporations. But the root cause needs more examination. It is financialisation – an unlovely word which means that capital is now so tyrannical and over-arching that it is now seeking out every other institution, human habit and need, and putting both an imagined financial cost on them, and then busily setting up ways of extracting that cost. So housing has been financialised – with the disastrous consequences even Tories are seeing. Education has been financialised. Debt has been financialised. Public services have been financialised. Welfare has been financialised. Local authorities, with 40 percent funding cuts and rising, have to financialise decent local conveniences – street markets, local services, children’s services and activities, parks and games pitches. And with that, we’re back at the magic money tree. It is indeed magic because it throws its fruits upwards – the CEOs, shareholders, senior management. The greed of these people and their businesses is calamitous. 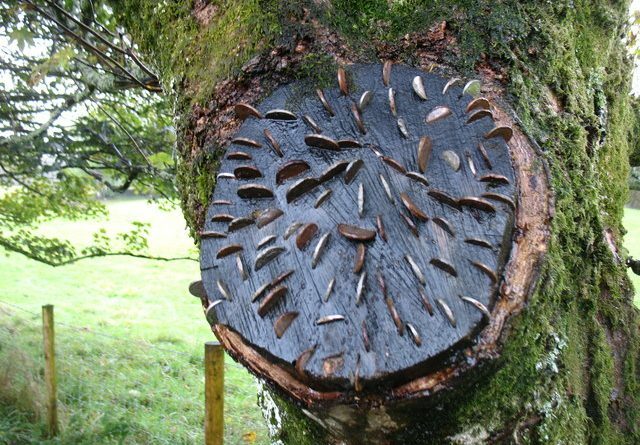 A magic money tree indeed. And one that the Government has fertilised and encouraged at the expense of this country’s infrastructure, its poor and sick and young,its productive economy, its housing, its education, its air, its share of the natural world. Indeed its time we hacked it down and 8 June would be a good day to do it.